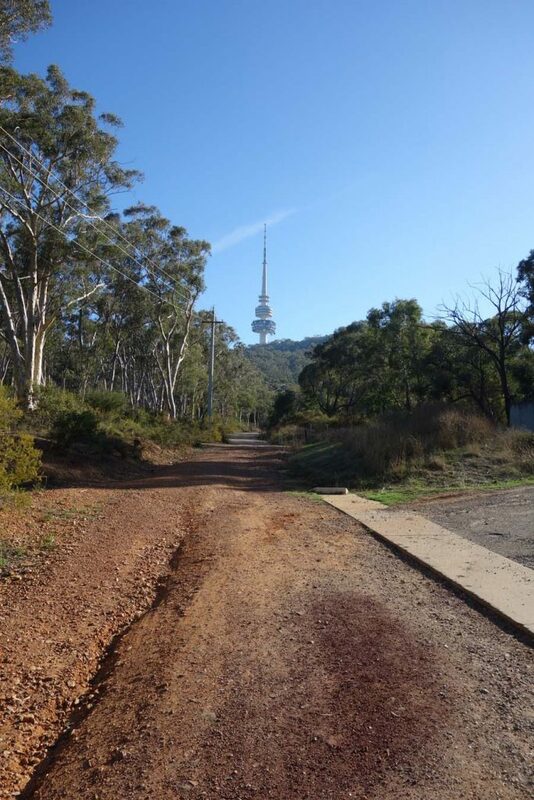 While neighbouring Mount Ainslie is the most commonly walked mountain in Canberra, Black Mountain for many years was the most easily accessible summit due to the telecommunications tower (both the current and previous versions). 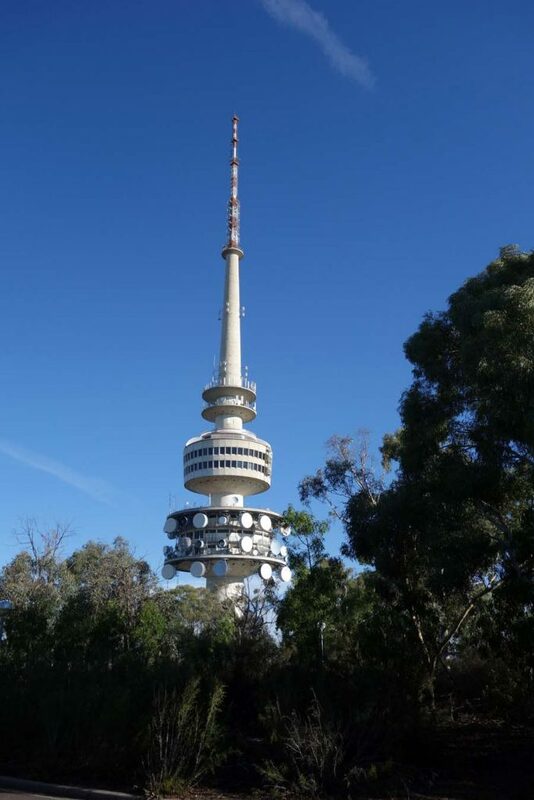 This tall metal spire on the very top section of the tower is now obsolete having been rendered unnecessary by changes in technology however it has been left in place to maintain the appearance that has dominated Canberra’s skyline for so many years. 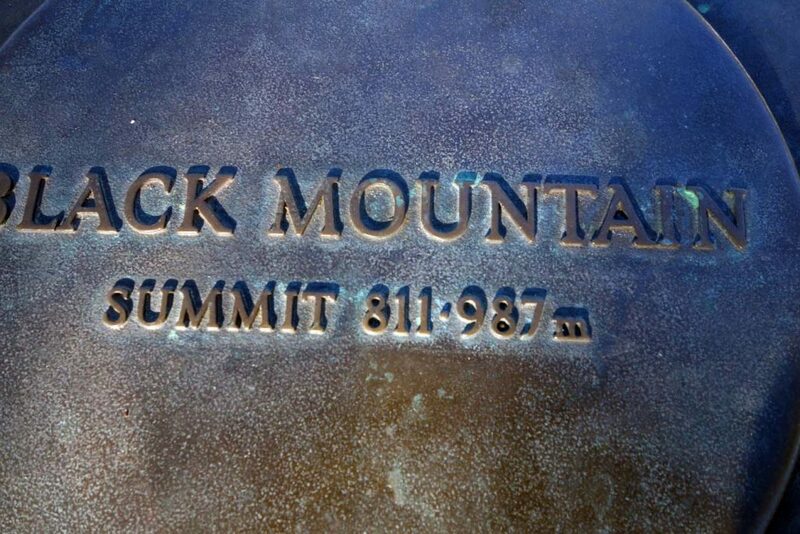 The walk to the summit can be done from a number of locations around the mountain but this is probably the best known. By far the most difficult part of the walk is finding the car park which is not very intuitive requiring a bit of road map study to ensure you don’t miss the turn if coming from the Civic town centre. 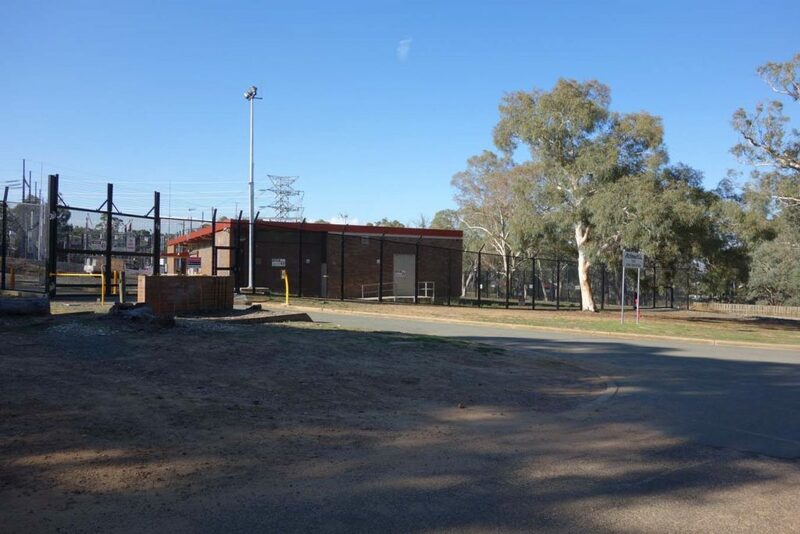 Once you reach the car park at the back of the electricity sub station, you then have a 300-400 metre walk up the dirt road that appears to head towards the tower before following the signs heading you towards the right to will take you onto the trail proper. Once you formally start the trail all but the first 70 metres is paved all the way to the summit. 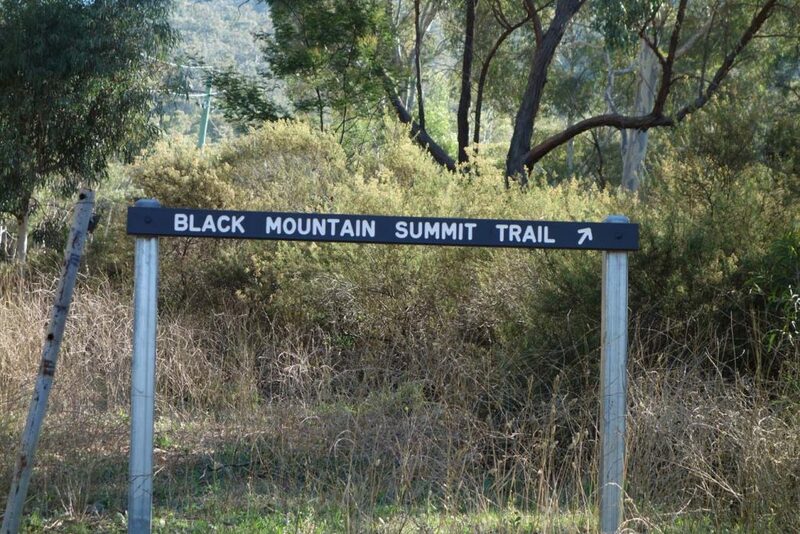 This paving is necessary as unlike the Mount Ainslie walk, the ascent of Black mountain is steadily upwards all the way to the top and would wash away in heavy rains. There are only a few very small flat sections to sit and rest. Views on the way up tend to be focused on the tower itself which dominates the skyline. On the way down you catch regular glimpses of various parts of central Canberra. 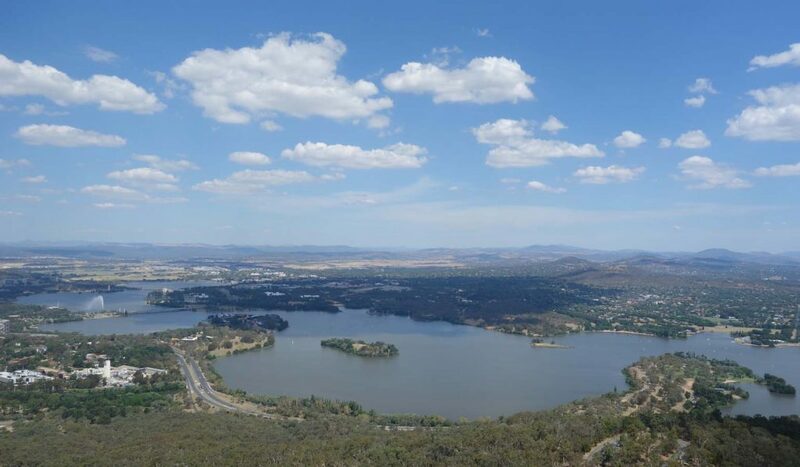 If you feel so inclined you can pay $7.50 to go up the tower and this is worthwhile doing at least once if not more often as the tower provides the best views of central Canberra without interruptions from the local bushland which impacts on the Mount Ainslie summit. 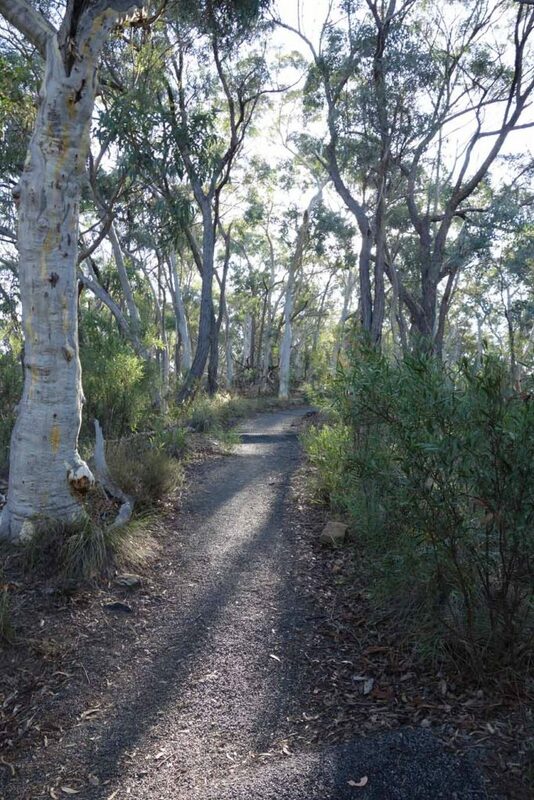 This trail forms part of the Canberra Centenary trail. 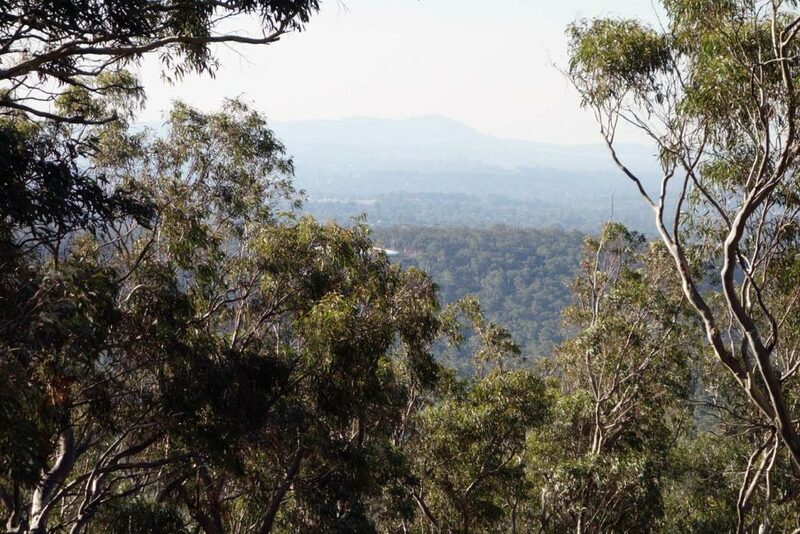 The bushland on Black Mountain differs from the surrounding mountains when you get up close and this is mainly due to the fact that much of the mountain was denuded in Canberra’s early history. Spring in particular has various native shrubs and wildflowers out but there is always something to see whatever time of the year you do this walk. 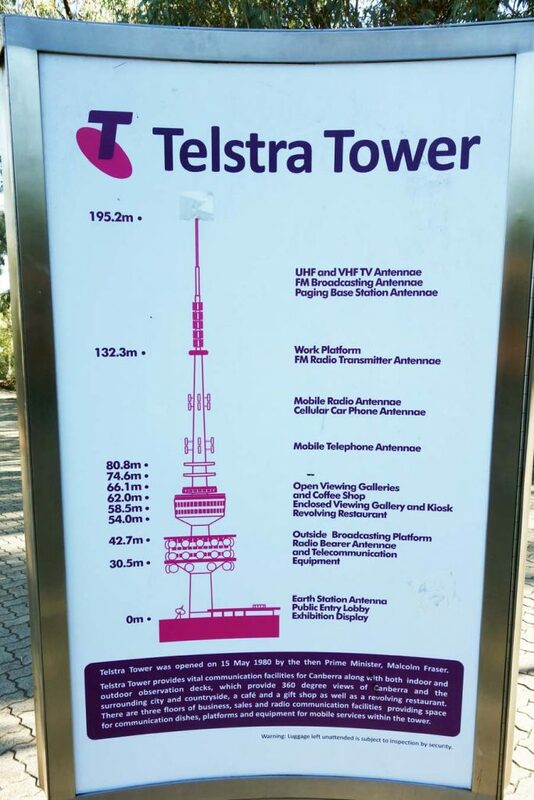 Water and toilet facilities are available at the base of the tower while the tower is open, and given there is a restaurant and viewing platform in the tower opening times are extended (9:00am-10:00pm – 365 days a year). Toilet facilities can be accessed without having to pay the entry fee. The most difficult part of this walk is getting to the trailhead. Either set your phone mapping system or car GPS to the ACTEW sub station on Frith Road, or spend a bit of time studying the map before you go. It you miss the turnoff it will take you a couple of kilometres to get back on track. 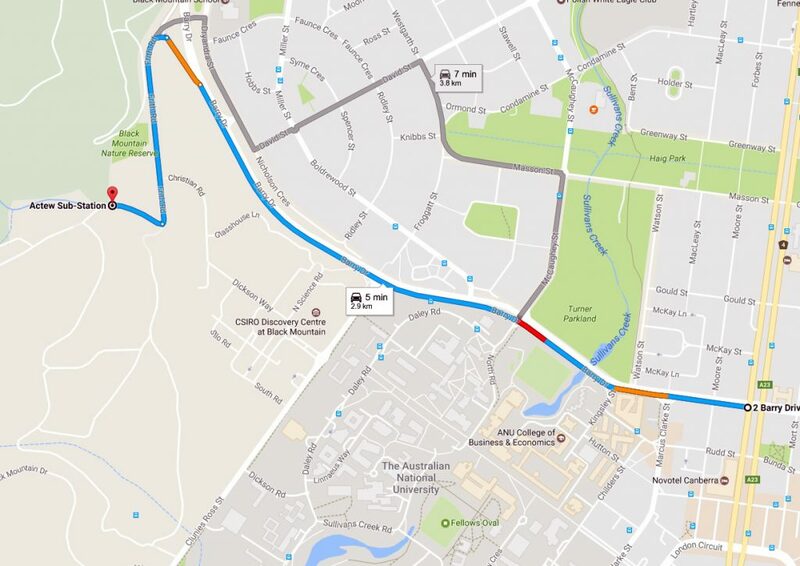 Start from the intersection of Northbourne Avenue and Barry Drive in near civic then head towards Belconnen taking the slip lane onto Frith Road. Alternatively come through the suburb of O’Conner and travel under Belconnen Way to Frith Road.